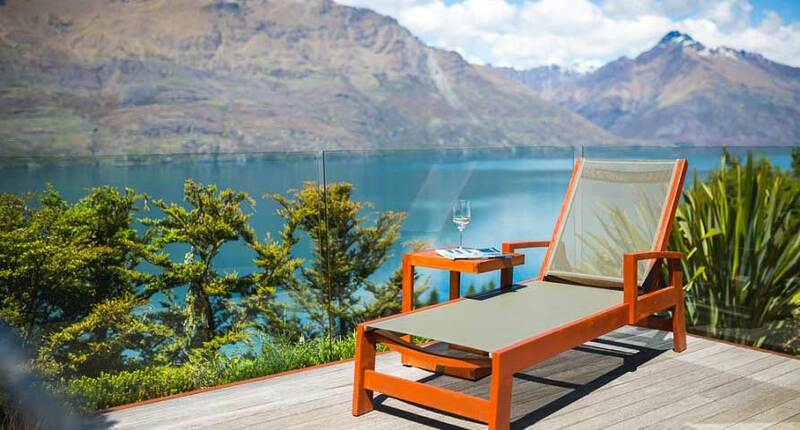 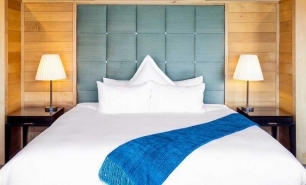 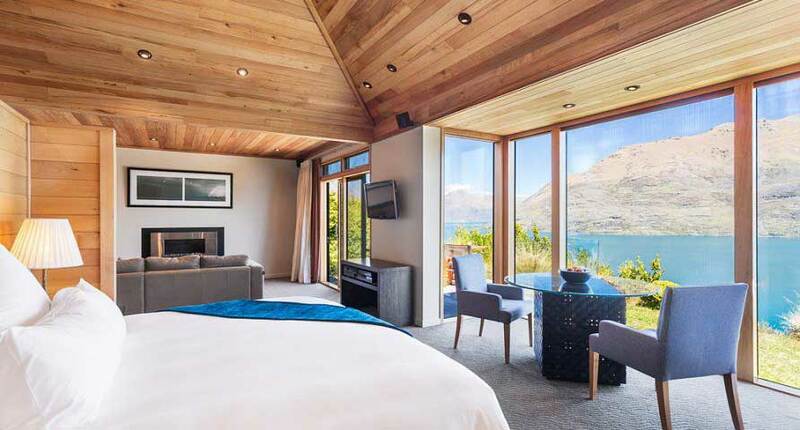 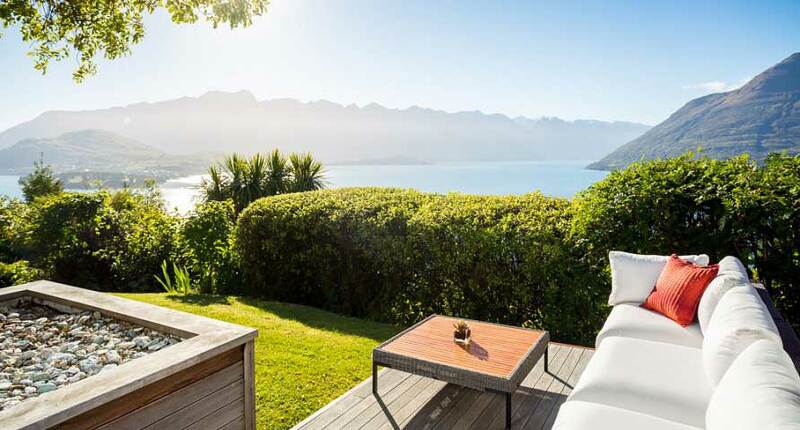 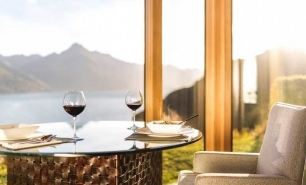 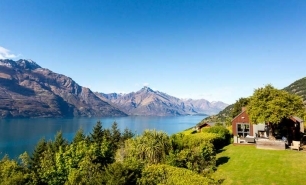 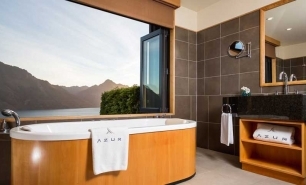 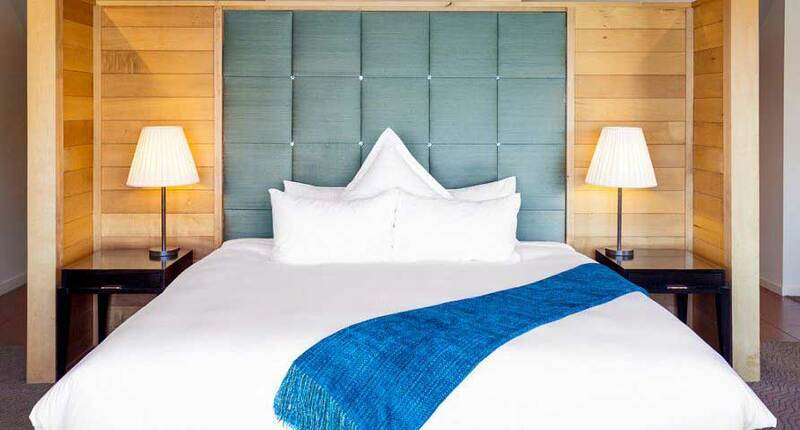 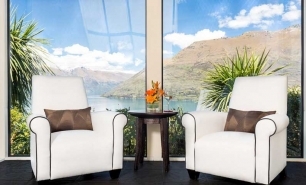 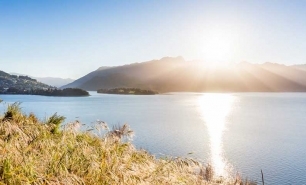 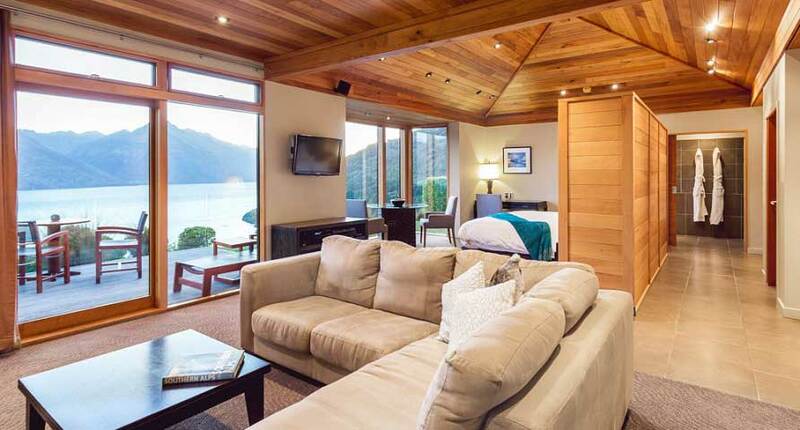 Azur, one of the most beautiful lodges in New Zealand, is located on a hillside 3km from downtown Queenstown (South Island) overlooking the picturesque Lake Wakatipu and the surrounding mountain peaks. 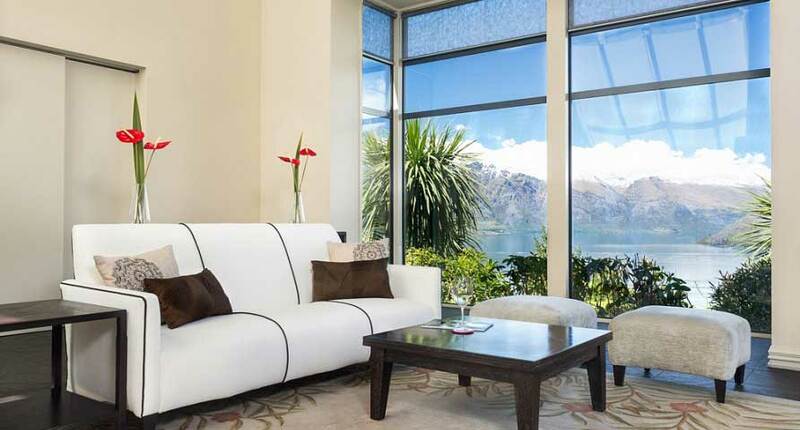 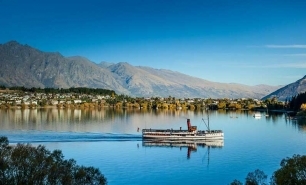 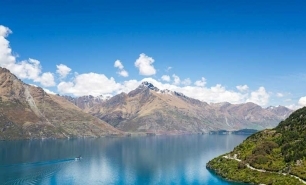 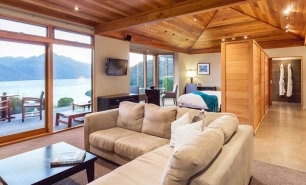 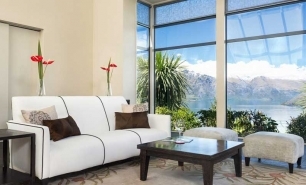 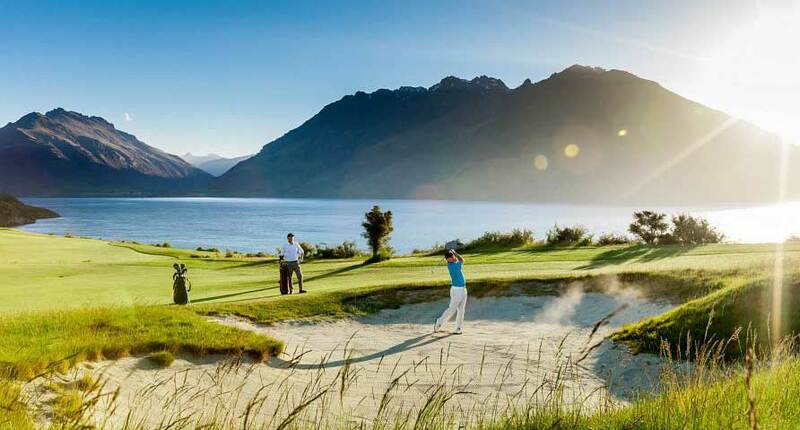 Although not far from the busy town of Queenstown (often referred to as the adventure capital of the world due to the range of extreme sporting activities which can be enjoyed using the town as a base), it offers total privacy and tranquility. 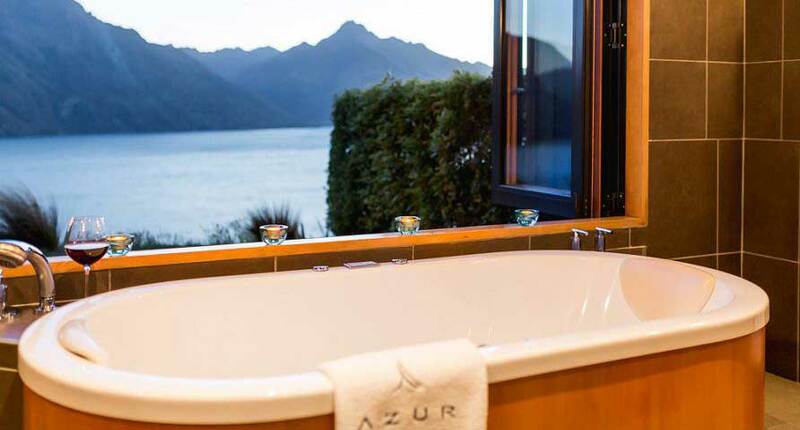 Azur has 9 identical free-standing open-plan villas (each measuring approximately 75sqm) with decks and gas fireplaces. 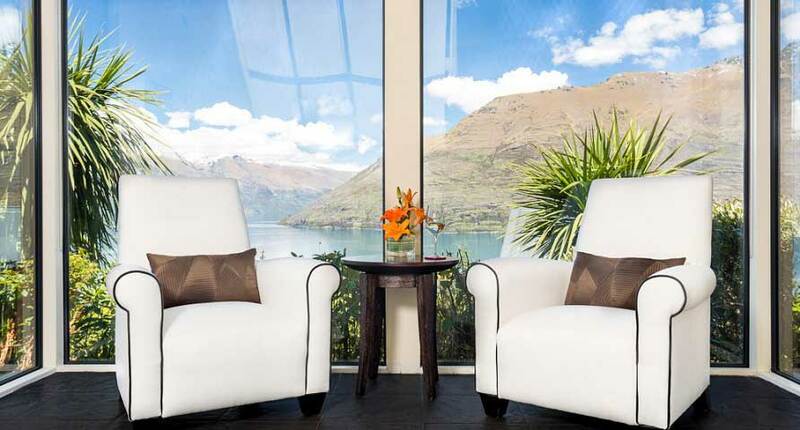 Each villa is wonderfully secluded with views of the lake and mountains through its large ceiling-to-floor windows. 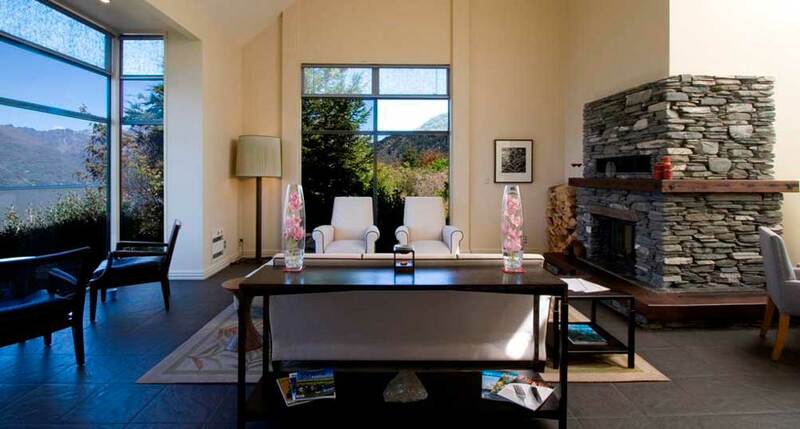 The main lodge houses the lobby, a breakfast dining room and a guest lounge. 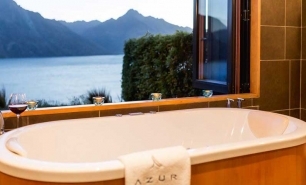 Azur Lodge doesn’t have a restaurant but it does provide breakfast, afternoon tea, and evening drinks and canapés. 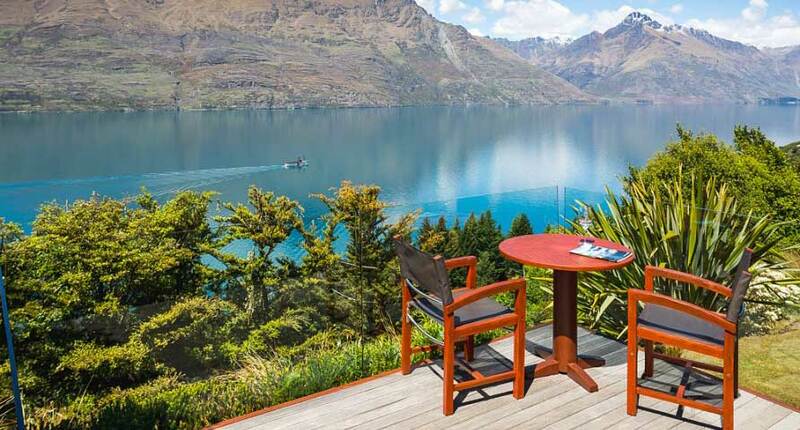 In-room dining can be arranged (eat out on the deck for sublime views) or the concierge can book the best local restaurants for guests. 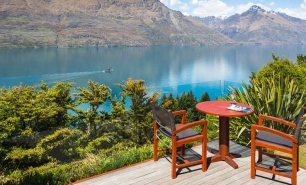 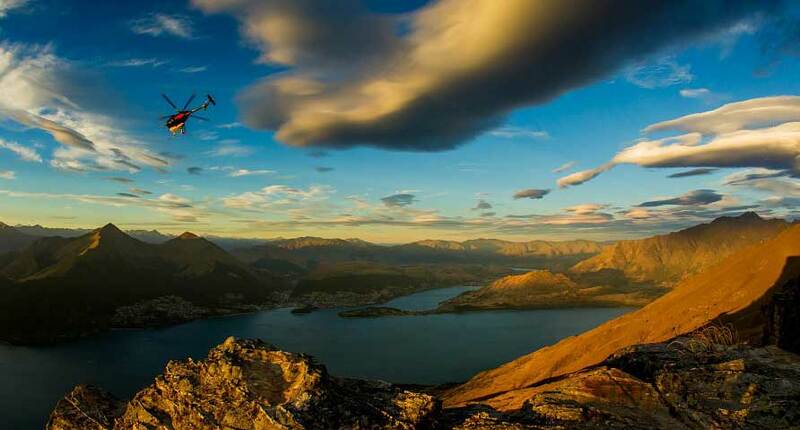 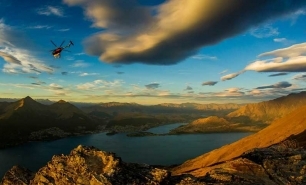 Queenstown is famous for its fabulous wine & food culture. 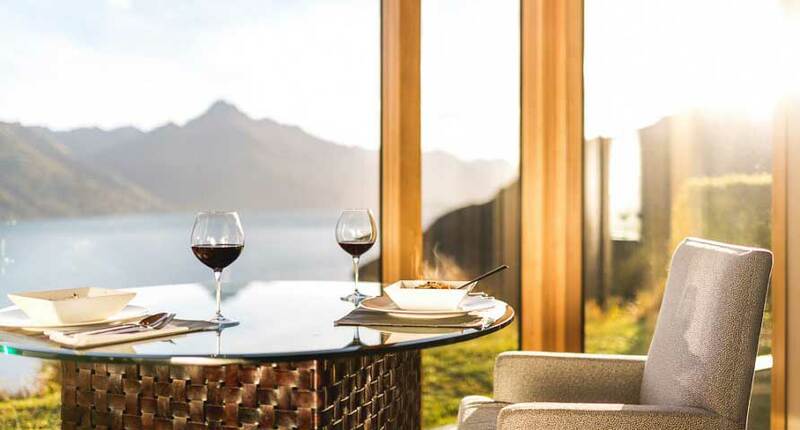 There are over 150 restaurants in Queenstown and the Central Otago region, which serve excellent food and wine. 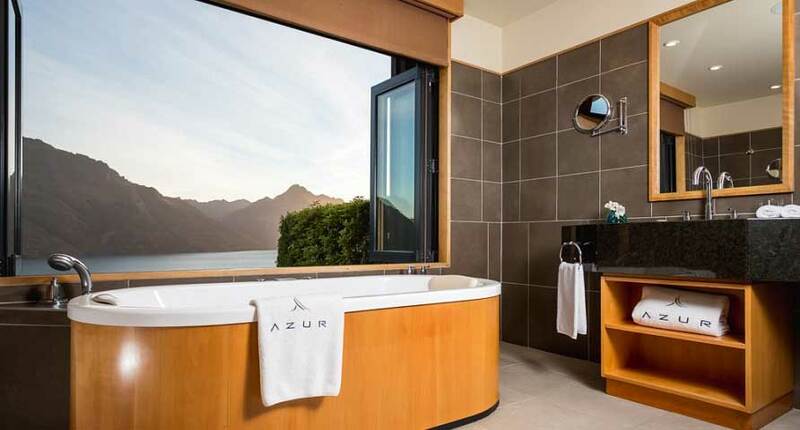 Azur is located 15 minutes from Queenstown Airport (ZQN) and 5 minutes from Downtown Queenstown. 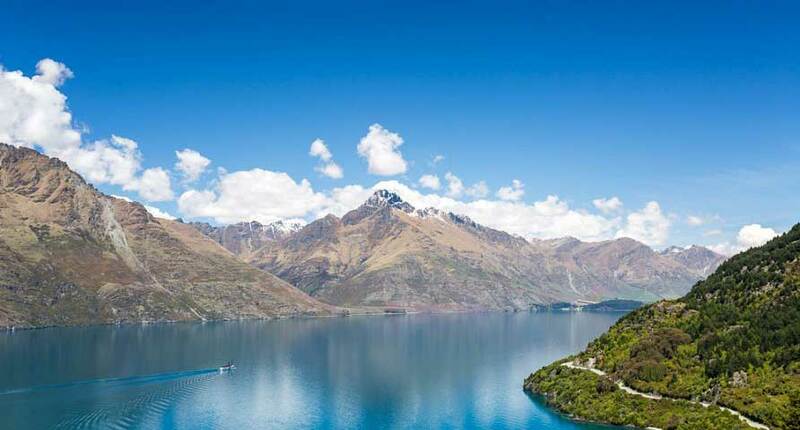 Queenstown is connected via flights with Auckland (AKL) and other major airports in NZ. 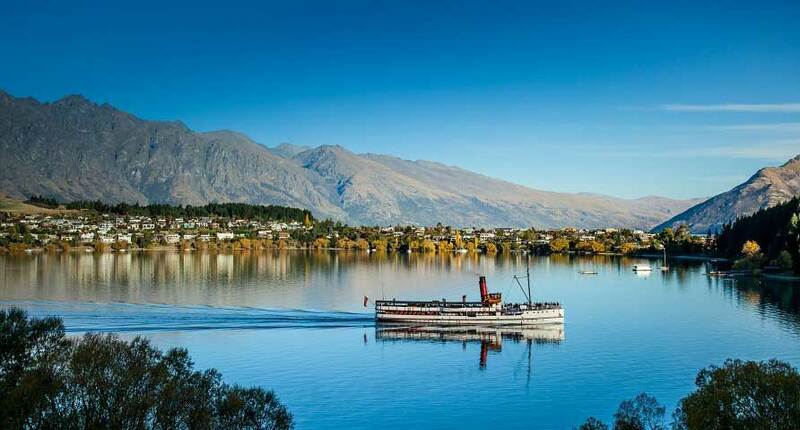 From Queenstown it takes approximately 6hrs to reach Christchurch by car. 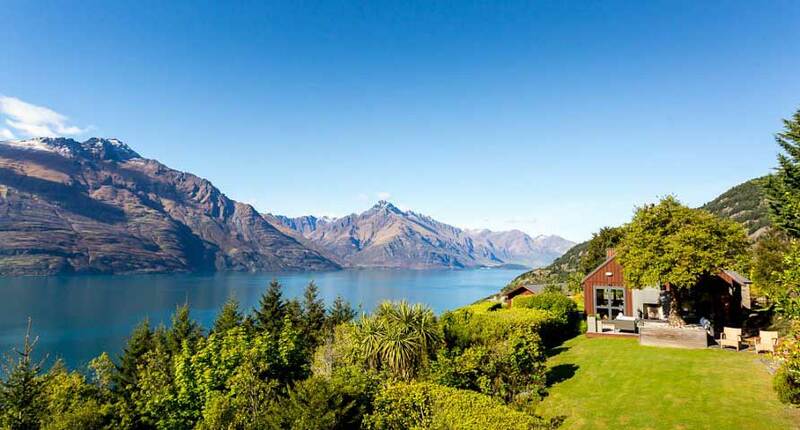 February to April i.e. 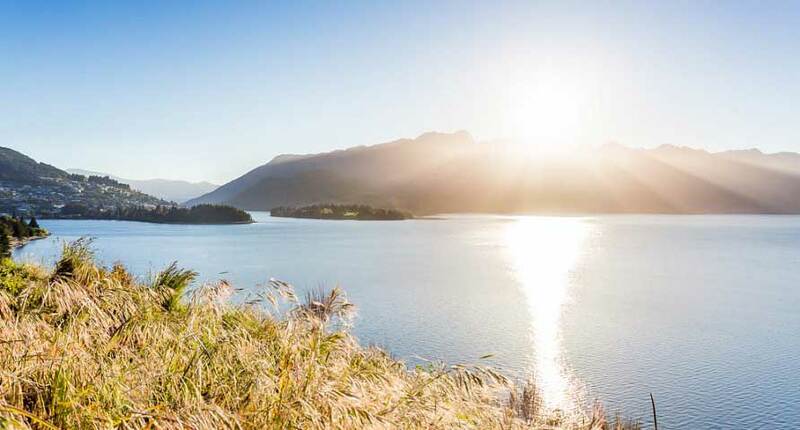 late summer and autumn are the best times to visit as days are warm and resorts are not too busy. 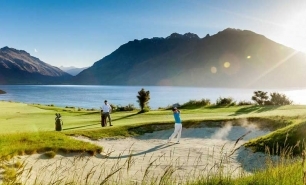 Skiing conditions are good from July to late September in and around Queenstown.